Or just scroll down to the bottom of this page, and click the “like” button on the left. I’ve made it easy for you. 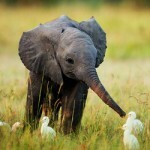 And, sadly, no I am not an elephant doctor. But I’d like to be. 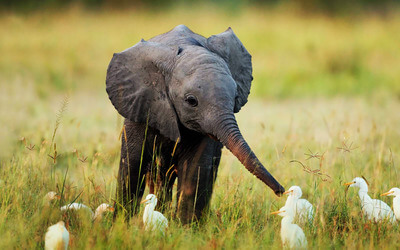 And what’s cuter than a baby elephant with baby birds?